Please note that applications to volunteer at Cheltenham Music Festival 2018 are now closed. Please check back here in March 2019 for information on volunteering at Cheltenham March Festival 2019. The Cheltenham Music Festival is looking for friendly, hard-working and enthusiastic volunteers. Volunteers will be needed from Tuesday 3 July – Monday 16 July to help with all aspects of running a successful festival. This would be a valuable experience especially for those passionate about arts administration, events management and stage production. Volunteers are asked to commit to full time for the duration of the Festival. Working hours during the festival are long and tiring. Days often start at 8.30am for morning briefing and don’t finish until the last event has finishes, sometimes as late as 11pm. 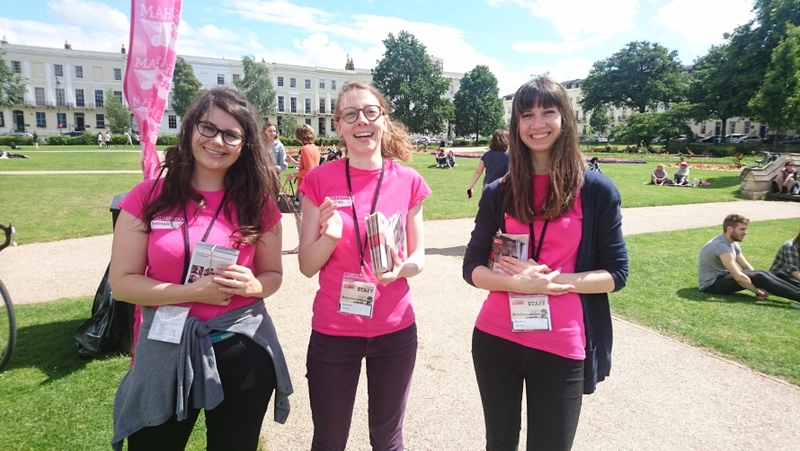 Being a ‘runner’ at the Cheltenham Music Festival is a good place to start for anyone considering a career in arts administration or events management—and it’s a great thing to have on your CV. Past volunteers have gone on to work in all sectors of the arts, including classical music agencies, Wigmore Hall, the BBC Proms and the London Philharmonic Orchestra. Applications for volunteering at the Music Festival have now closed. Check back here in March 2019 for information on volunteering at Music Festival 2019..